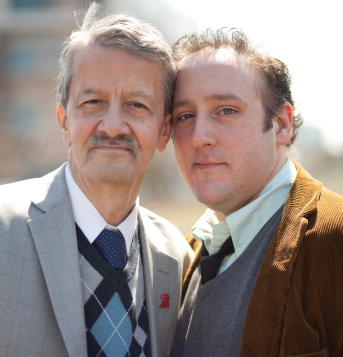 I join with the Somerville Scout in reporting the death of Robert "Bob" Publicover, fierce advocate for the HIV/AIDS community and founder of the Somerville News. I offer my most heartfelt condolences to his husband, David Lebahn, family, friends and the entire Somerville News staff. For more information on Bob, please read this beautiful article that was featured in the Somerville Scout this past May. Bob was an inspiration to anyone that has ever had to overcome an illness while leading a productive and fullfilling life. He managed to do it with dignity. He never allowed his medical issues to stop him from spending time with friends. You will be missed my friend.